Glee is back for Spring Fair 2019, shining the spotlight on the latest and greatest garden and outdoor living products, as well as providing inspiring garden retail insights to prepare you for the year ahead, and beyond. Spring Fair 2019 – the UK’s largest and number one home and gift marketplace – will feature a dedicated Glee concession, providing a centralised hub for visitors to the show to explore garden-related products, and attracting thousands of influential garden product buyers. Located in hall 3 at the NEC, the showcase will give garden centres and green-fingered retailers the chance to re-stock after the busy Christmas and New Year period, and prepare for the upcoming Mother’s and Father’s Days. Core gardening, including garden care, landscaping and garden decoration and outdoor entertaining, will be supported by the Glee at Spring Fair central networking café – the main hub that will house key industry associations GIMA, the HTA and Gardenex and the New Product Showcase feature. At the café, Gardenex will also host events to facilitate trading and networking amongst exhibitors and retailers. This year will see both new and returning exhibitors lining the halls. Riverco will be back with their range of garden furniture and accessories handmade in the UK, Laurica-plants is returning for the second year to showcase their laurus nobilis topiary and evergreen plants, and familiar face, Woodlodge, will be launching a new range of indoor pots and decorative products bringing fresh and on-trend designs to the show. For those garden centres looking to diversify their range and find more profit in their business, Spring Fair is a perfect match. Amongst the floral exhibitors in the adjacent Hall 2 – Christmas Gifts, Floral & Seasonal Decoration – will be specialists Swift Imports, Sincere, Florelle as well as museum-grade artificial plant manufacturers, TreeLocate and internationally renowned Sagedecor, who have over 40 years’ experience in the sector. 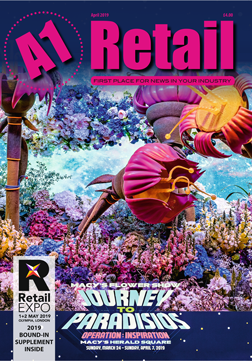 Garden centres are well placed to respond to the need for experiential retail with more holistic and complete shopping experiences with their offering often encompassing homewares, giftware and even jewellery and fashion. Spring Fair’s 15 show sectors, ranging from Greetings & Gift through to Toys, Homewares and even more, will afford garden centre buyers the best opportunity to replenish and enhance stock across a wider range of categories than just garden. Alison Graham, Spring Fair’s event director, said: “We’re delighted to welcome back the Glee concession at Spring Fair 2019. 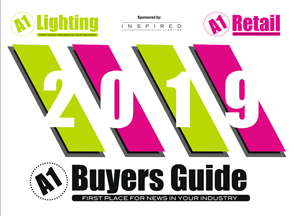 The showcase gives buyers the latest and greatest insight into the trends that are influencing both the industry and buying decisions, and gives visitors the opportunity to get their hands on the freshest and most exciting products.